Don't have your CV? 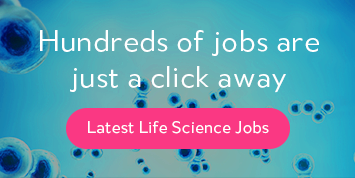 Use LinkedIn to apply for life science jobs. Have you ever seen the perfect job online but didn't apply for it because your CV isn't up to date, or you weren't able to apply because you were using a mobile phone? ProClincal have added a new feature to their website that now makes it possible to apply for life sciences jobs using your LinkedIn profile and avoid any more missed opportunities. Imagine the following: On your commute home one evening, you begin reflecting on a bad day in the office, so you take your smart phone out of your jacket pocket and begin speculatively browsing recruitment websites for new jobs. You happen across a fantastic position at a leading global pharmaceutical company that's just perfect for you but unfortunately, you can't apply for it right away because you don't keep your CV on your phone - and besides, it needs updating anyway. You plan to apply for it when you get home but by the time you have had dinner and put the kids to bed, the last thing you want to do is spend time on your CV. So you head to the office the following morning, forgetting about the other position, and the cycle begins again. This is a familiar scenario for many professionals today, who are frustrated that many pharmaceutical recruitment websites only allow users to apply for a job by uploading a CV as a Word document or PDF. If you don't have your CV handy, you can only save jobs for later or, in some instances, use a (potentially outdated) CV that you uploaded earlier. Approximately one third of all website traffic now comes from mobiles and tablets, yet people rarely carry their CVs on these devices. Moreover, simply browsing complex websites on a mobile can be tricky, involving constant pinching and pushing with your thumb and index finger on the screen. ProClinical's latest update addresses both of these issues, introducing a new design that responds to the screen size to give optimum usability and also allowing job applications without needing to have a CV on your device. Much like a CV, your LinkedIn profile displays your current job title and employer as well as past experience and skills, which is enough for many recruiters and HR Managers to decide if someone is potentially a strong candidate for their vacancy. It is for this reason that it is often the first point of call for many headhunters within the life sciences industry. Often, you will be asked for your CV afterwards to further qualify your suitability, but by this point you are already in the running for the new role. Of course you can still apply for life sciences jobs using your CV, as you would expect, but this technology is about removing the barriers and offering an alternative. The latest figures from the professional network show that 85% of professionals are open to changing jobs, although only 12% are actively looking. One of the possible reasons for this could be that people often procrastinate when it comes to looking for a new job and, in particular, updating their CVs. The option to apply with LinkedIn therefore opens new opportunities for these individuals to make their next career move without the intense preplanning often attributed searching for a new job. As with many websites who are integrating social media, these widgets are designed to make it quicker and easier for users to perform actions, reducing the need to complete new forms and set new passwords. Other recent updates to the site, including job seeker advice and online timesheets for contractors, are part of ProClinical's ongoing efforts for continuous improvement to the service for new and existing candidates. ProClinical specialise in permanent and contract jobs within all research and development functional areas, including, regulatory affairs, medical affairs, clinical research, quality assurance, drug safety and biometrics.